Dr. Janet Stanford, CEO and the Medical Doctor of Knysna-Sedgefield Hospice for the second year will take on the challenge and cycle 50km on Sunday 3rd July 2016 to "FUND A HOSPICE NURSE". She will cycle with other cyclists supporting the Hospice Charity Entry - "Hospice Pedal with Purpose" with Momentum Knysna Cycle Tour. Did you know that a Hospice Nurse is vital to the terminally or chronically ill patients? They provide palliative care to improve pain and symptom control and support the family in caring for patients at home. 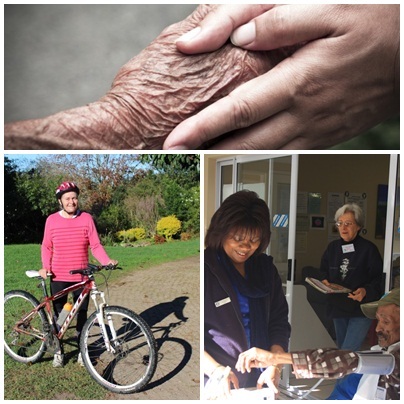 Knysna-Sedgefield Hospice currently has 7 full-time professional nurses trained in palliative care. They provide palliative care and support to about 302 patients per month at no cost to the patient and family members. On an average care and support costs Hospice R1, 800 per month to visit a patient.